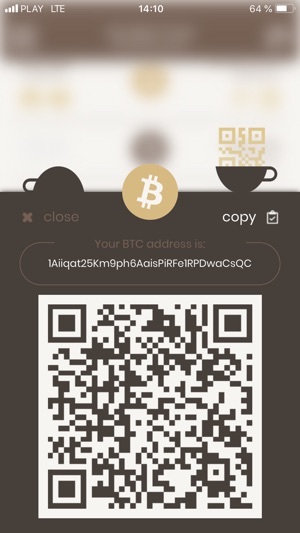 Coffee Wallet is an open source blockchain portfolio and a wallet. 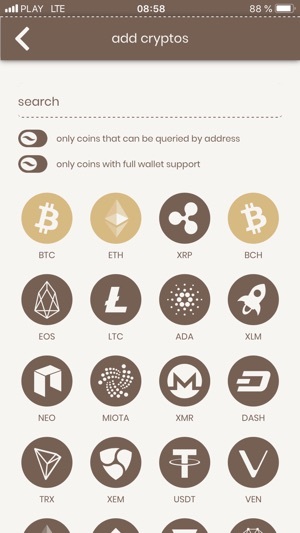 Whether you use a hardware, paper or a third-party wallet, you can keep track of your funds. Just add addresses or fixed amounts and You will see live value of all your tokens in your selected fiat currency. 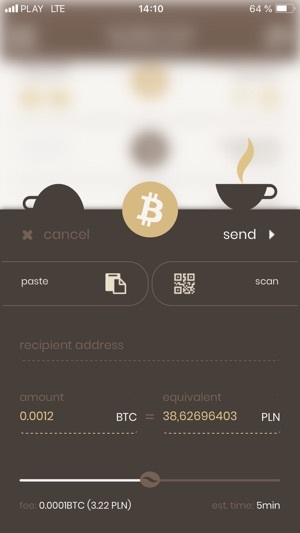 Selected tokens can be stored in a local wallet and they can be easily sent or received. Signed transactions are sent to third party providers. Private keys never leave your device. This makes the wallet secured and light. 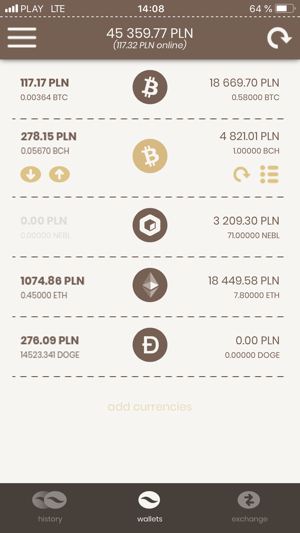 Supports BTC, ETH, LTC, DOGE and ERC20 tokens. changed: renamed "assets" to "portfolio"